Kotak Mahindra Bank is India’s largest private-sector bank. It has a network of 1,369 branches across 689 locations and 2,163 ATMs in the country. You can apply zero balance saving account – 811 online using Kotak mobile banking application. Many types of saving account for your need and capability. 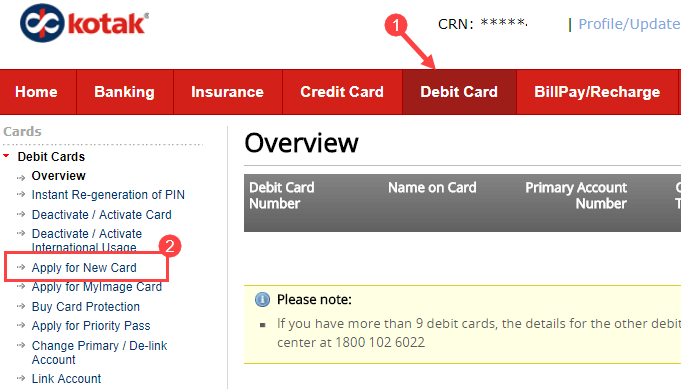 If you are a Kotak bank customer and want to apply New Debit Card then you can do this online through net banking. 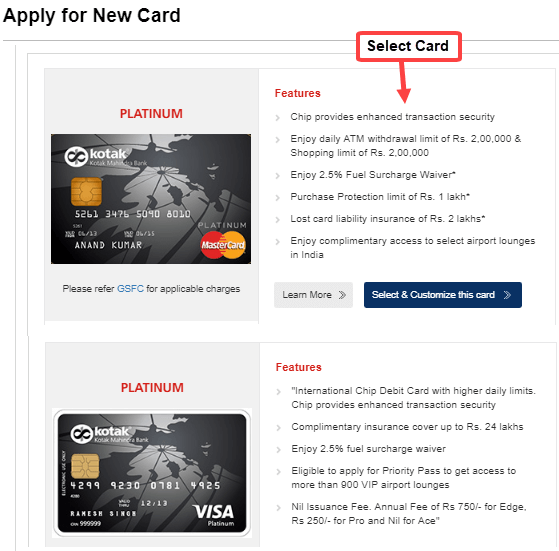 Yes, you can apply Kotak Mahindra Debit card online. 1 First of all, visit Kotak Net Banking portal and login to your account. 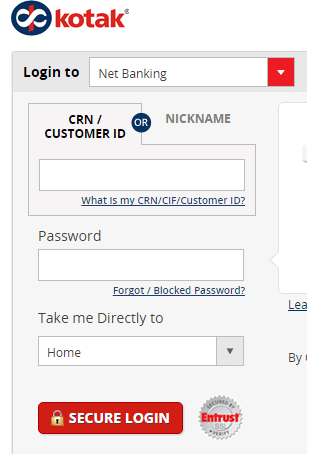 You can use your CRN or Customer ID to login. Next screen type dynamic access code which received on your registered mobile number, enter and login. 2 After logging in, click on Debit card in menu. Now click on Apply for New card. 3 Next screen, select your Debit card of your choice. Kotak bank offers your different kind of debit card depends your needs. You can select chip based platinum and Jifi platinum for international usage. Not sure about classic. Select your card and proceed further. You can also customize your card with beautiful images but it will cost you extra. Else you can Skip this. 4 Now confirm your order by clicking on Confirm. 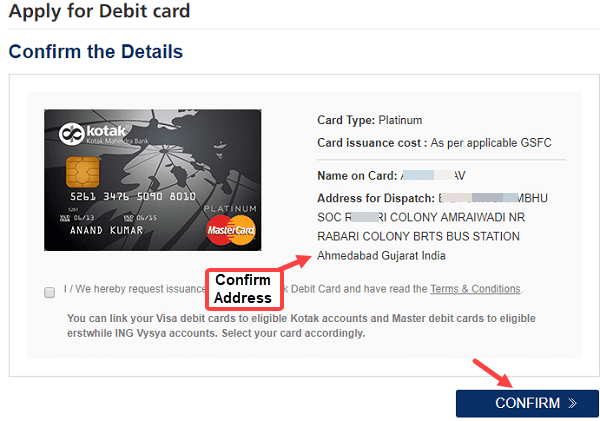 Check your address carefully, if it correct then click on Confirm. All done! you have successfully applied Kotak Mahindra Debit card online. You can see success message on next screen. Your card will be delivered at your doorstep within 15 days (Depends on your location). The card will come pre-activated so no need to activate. Just visit any ATM machine and do first transaction. After this you can use your card online.